Hundreds of people will be in town over the weekend for the Métis Nation General Assembly, which is being hosted in Peace River. There are a number of things happening in town to celebrate. 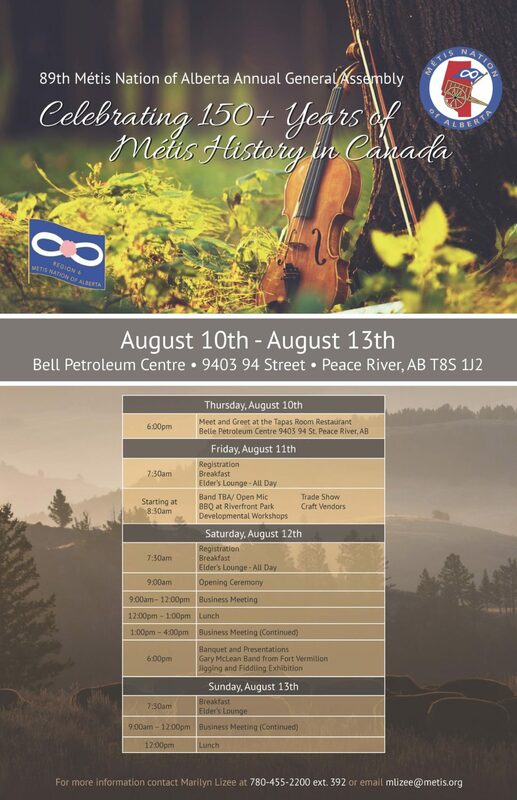 Join MNA for our 89th AGA, Celebrating 150+ Years of Métis History, in Peace River. This year’s AGA is proudly hosted by MNA Region 6. For more information, please contact Marilyn Lizee at 780-455-2200 ext. 392, or email mlizee@metis.org.